Home Builder Bites THE RESEARCHER: Are developers properly managing risk? THE RESEARCHER: Are developers properly managing risk? With land prices skyrocketing across the GTA and zoning approval timelines growing, the upfront financial investment required by developers has increased substantially in recent years. Many builders and developers are now taking on equity partners to reduce their exposure to any one project, share their entitlement, development and execution risk, while allowing them to free up the capital to pursue other opportunities. The institutionalization of residential real estate is growing rapidly, and even the typically old-school self-funded family homebuilders are considering alternative financing options. It would not be a surprise to see a couple of GTA developers go public in the next decade, as a way to access public funding for their massive new projects. Another way developers are managing risk is understanding the marketplace. After 15 years of advising developers and landowners about freehold and condominium market conditions in Ontario, I launched my own firm, Bullpen Research & Consulting, in January of this year to help my clients figure out those risks. Buyer and investor sentiment shifts quickly with each successive federal, municipal or geopolitical change, and smart developers realize they need someone in their corner that’s staying up on the impacts of the latest mortgage rule changes, the reactions to increased rent control legislation, attitudes regarding rising interest rates and other industry participants’ opinions on changes to the OMB, land prices, midrise development and sales strategy. How does a developer maximize revenues while reducing market risk in the condominium apartment market? Some developers prefer to sell all of their units in a building during the first six months, reducing future absorption risk. Others prefer to sell 60 to 70 per cent of their suites upfront and slowly release the remainder of the unsold inventory during the pre-sale and under-construction period. This second strategy is deployed to ensure they can take advantage of future price inflation and have a revenue source to cover potential cost overruns. Five years ago, developers in Ottawa got burned by holding back inventory as the market tanked and values corrected. In Toronto, the opposite occurred; developers that sold out didn’t reap the benefits of the sharp increase in values and were ultimately hurt by the 10 to 15 per cent increase in construction costs in early 2018. The phrase “you have to sell and build in the same period” has been uttered quite frequently lately. The market for singles, semis and row homes had experienced steady price growth for 20 years in the GTA. In 2017, average asking prices soared by 45 per cent annually, with buyers camping out in advance of new releases, and 300-unit new subdivisions selling out as quickly as the brokers could sign the deals. However, after the Fair Housing Plan announcement, sales have plummeted, values have dropped nearly 15 per cent and developers are facing never-before encountered issues. Should they lower prices and face blowback from existing purchasers? Do they offer smaller homes with a lower quality interior finish, or do they shut their sales offices and try again next year? Developers that spend years, and in some instances decades, waiting for approval to sell their homes, don’t want to give them away in what might be a temporary slowdown. There were a few highrise developers that regretted slashing prices in early 2009 during the global economic slowdown, only to see the market come flooding back in the second half of that year. Low-density land transactions in the first seven months of 2018 were half of what they were during the same period in 2017, and developers are struggling with valuations, given they’ve always built in future end-unit price growth. Most small builders don’t have the in-house expertise to truly evaluate current values and understand future growth potential in such an uncertain market. Without that knowledge, they’re choosing not to buy. Perhaps if developers could acquire better knowledge of the market, had a third-party opinion on market valuations, and could provide those figures to the land vendor, they’d be able to take advantage of land buying opportunities. In my own practice, I’ve done a number of studies because developers want to know how to program the suite mix and unit sizes in their building and get a sense of values for their project, with condominium and rental tenure. They’re looking to reduce their risk by having a well-researched back-up plan. 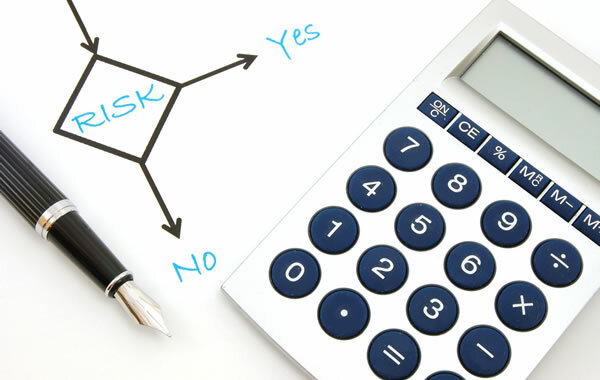 Is your development firm doing enough to mitigate risk? Are you having these conversations with your senior staff and sales and marketing team? Buyer sentiment, government intervention and rapid changes in revenue and costs assumption are all contributing to volatility in prices and profit. Volatility equals risk, so make sure you’ve done your research to manage that risk. Ben Myers is President of Bullpen Research & Consulting. Next articleTHE INDUSTRY LEADER: Where did the money go?